Most people would never consider driving under the influence of drugs, but you might be surprised by the types of medication that can constitute a drug driving charge. Aside from illegal drugs, some prescription drugs and even over the counter medications can affect your ability to drive safely. These drug driving laws apply in England and Wales — Scotland and Northern Ireland have different legislation but you could still be arrested if you’re unfit to drive. The police have a right to pull you over and carry out a ‘field impairment assessment’ if they suspect you are driving under the influence of drugs. The assessment can include physical tests, such as asking you to walk in a straight line, as well as the use of a ‘drugalyser’ to test for some illegal substances. If the police believe you are unfit to drive, they can arrest you and take you to a police station for a blood or urine test. If you are convicted of drug driving you could face a criminal record, a minimum 12-month driving ban, an unlimited fine, and up to six months in prison. Your driving licence will also be endorsed with a drug driving conviction, which will last for 11 years. A drug driving conviction can have serious consequences in all aspects of your life. You may find it very difficult to get car insurance, and it’s likely the cost of cover will increase significantly. Your employer will also see a conviction on your licence if you drive for work, and you could have trouble travelling to countries like the USA. It’s illegal in England and Wales to drive with drugs in your body — even prescribed by your doctor — if they impair your driving. You should always follow the advice of your doctor, pharmacist or the patient information leaflet when taking prescription medication. With some medications, it’s advised that you don’t drive or operate heavy machinery until you know how the drug affects you. If you are concerned about how your medication could affect your abilities on the roads, refrain from driving and consult your doctor. It’s safer to avoid driving and consult your doctor than it is to stop your medication without the advice of a medical professional. The legal driving limits for these drugs varies from 50 to 1000 micrograms per litre of blood. Like drink driving, it’s not possible to state an amount of these medicines that you can take and still drive safely, as many factors like physical characteristics and weight will affect the concentration of the drug in the blood. However, you should be under the legal limit if you have followed the dosage and advice given to you by your doctor or on the patient information leaflet included in the packaging. Remember — even if you take the recommended dosage and are under the legal limit of these drugs in your blood, you could still be prosecuted for drug driving if your driving is impaired. You could also be prosecuted if you have these drugs in your system while driving and they haven’t been prescribed to you. While there are no specified legal limits for over the counter medication, it can affect your ability to drive safely. Some common over the counter medicines, such as hay fever and cold relief, may cause side effects that could be dangerous for drivers, such as drowsiness and dizziness. If your driving is impaired after taking over the counter medication, you could face a drug driving or careless/dangerous driving charge. 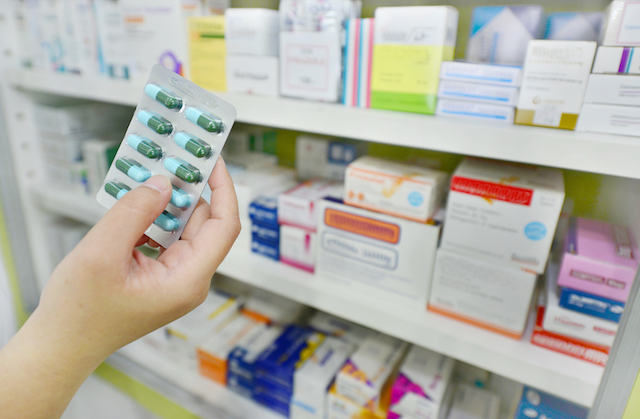 As with prescription medications, you should always follow the advice on the packaging or consult a pharmacist when taking over the counter medication. For some medications you may be advised not to drive, while others may have side effects that could make it dangerous to operate a vehicle. In the latter example, it’s best to see how you react to the medication before you decide whether it’s safe to drive. Some over the counter medications can have more dangerous side effects when taken with alcohol or other medicines, which is why it’s vital to follow the advice in the patient information leaflet. It goes without saying that you should not drive with illegal drugs in your system. The limits for driving with these drugs in the blood are set very low (between 1 and 50 micrograms per litre of blood) to rule out any claims of accidental exposure. The fact there are limits do not mean you can take a small amount of illegal substances and still drive safely.